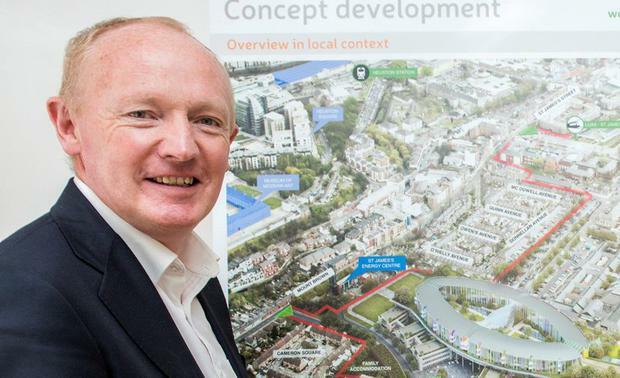 John Pollock, who is to resign as project director of the new National Children's Hospital, had been given a four-year extension of his contract, it has emerged. Mr Pollock, who could have remained in the position for another four years, will leave his post in June. The hospital, which is due to be ready in 2022, has been at the centre of controversy over its construction cost of €1.4bn, some €450m higher than its original price in April 2017. He took on the post in 2014 and was on a five-year contract, but this was extended by another four years by the National Paediatric Hospital Development Board overseeing the construction of the hospital. A spokeswoman for the board said he was on a salary of €133,613 and would not receive any payment as a result of his resignation. "Under the contract of employment, his pension is covered under the Department of Public Expenditure and Reforms Single Public Service Scheme," the spokeswoman said. Mr Pollock was an executive employee with the board, but was not a member. There is provision for a 13-member board and membership expired in July last year. Health Minister Simon Harris appointed 11 members and the chair. There is one position vacant. Under amended legislation in December 2018, the minister was given freedom to appoint a member under competency-based provisions. Mr Pollock's resignation followed the decision of board chairman Tom Costello to step down last month following the furore over the cost. A report on the cost of the hospital is due next month following an analysis by PwC. Mr Pollock said the hospital would open its doors to patients in 2023. New board chairman Fred Barry paid tribute to Mr Pollock's work.